Have you ever experienced a dream within a dream ? If the answer is yes then you should have some idea about the nature of reality. 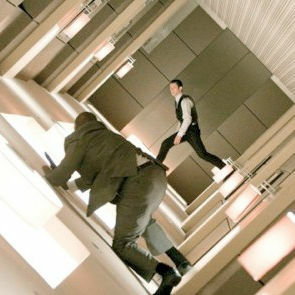 In the movie Inception the main character is able to enter the dreams of other people to gather information plant subliminal ideas or messages for the purpose of manipulation. During one of his missions he gets so deep within the dream state that he starts to find it very difficult to distinguish the dream from reality, and he even starts to get into multi layered dreaming, dreams within dreams, and this is where the movie really starts to get interesting. The deeper we get into the Apocalypse, the more we learn about ourselves, the more we expand our consciousness , it appears physical reality can in a sense be compared to what we think of as a dream. What we are discovering is that everywhere consciousness looks in expectation it finds. There is no separating the observed from the observer and in fact if you remove the observer there is nothing. What this means, is that what we call the dream state is just as “Real” as anything else. The only thing that varies is the vibrational frequency, the slower the vibration the more dense the reality , “appears”. So if consciousnesses chooses to travel in lower vibrational states , matter will appear more dense , things will happen more slowly , manifesting will happen at a much slower pace. However if your cruising through higher vibrational frequencies within the probability field , matter is less dense , and manifestation can become instantaneous. Remember though, the “being” that is traveling, the observer , the fractal of consciousness, which is what we are, is ultimately not subject to these various environments. Because ultimately from a greater perspective , there is no environment , not really , there really is no out there , which is why we always say circumstances don’t matter, only state of being matters . Once you realize this , once you start living from this perspective , your life will change dramatically and for the better. So again there is a “Practical Application , a benefit from becoming more aware of what you are, and here’s how. Once you know that , environments, and circumstances, are not what you are, then you will “know ” that those things exist within you and that you are ultimately not subject to them , which will greatly aide you in dealing with the challenges we face in this often harsh reality called planet earth. Start playing with this idea , start seeing yourself as a non physical being that simply enjoys strolling through the layers of reality for the purpose of learning and growth, no matter what the circumstances. And as longs as your taking some time to play , have some fun and rent Inception , its a great way to spend a couple of hours. 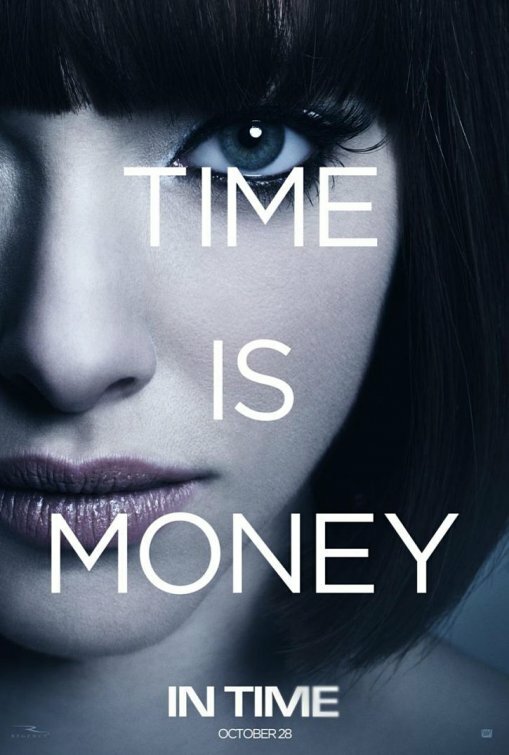 If you have not seen the movie In Time I feel its worth taking the time to watch, it hints at a lot of the issues we are dealing with here on planet earth and has enough action and decent acting to make it enjoyable. The main theme is that basically we are slaves to a system that treats the common man as nothing more than a commodity, with an expiration date of 25 years, yes everyone does get a one year grace period, but after that your own your own. If you can continue to pay, your good to go , you can live for a million years or more , if not its a quick pavement sandwich as your heart stops and thats it your done , Time Out. Essentially in this future world , time is the actual currency , time is literally money, you pay for all your material needs with time. At the same time you work in a salve like manner to make more time , some people live on the edge with only hours left to live every day. In essence it is the system that we have now , why do you think people always say “Time Is Money” . Because it is in this particular paradigm, all of us are trading our “Time” at a job or endeavor to make money so we can survive here in physicality. Once you stop paying with your time , you will no longer receive money , and of course if you have no money you will have no food , no place to live, and eventually die of starvation on the street. Unless of course you are rich , then you don’t have to work , becasue you have all the “Time” in the world do what you like , so the movie is more like art imitating life, its not a far stretch at all. As an aware observer there were some interesting messages tucked away in the movie , one of course was the release date itself, October 28th, which was the last day of the Mayan Calendar if you follow Carl Calleman’s work . And the Title of course , In Time, sounding much like End time and October 28th being the end of the Mayan calendar or the end of “time” ,another observation to be made. One of the more thought provoking aspects of the film was the Rich Elite who gives away 100 years of time , a small fortune in “Time Currency” . This Rich Elite Character claims that after 100 years of life , while the body was still 25 years old , the mind , or perhaps consciousness was aching to get out of the restrictive “Body Suit” we all wearing when playing the role of a “Human” being, the character says we were meant to die. That’s what I got out of it any way , so this guys gives his “time” to the main character who goes on a quest to flood the market with a million years of time, he steals from a really Rich Elite who has a million years sitting in his safe. So the message, or thought provoking aspect of the film was two fold , the first was do we really want to live for ever , I mean we are infinite consciousness so of course we never cease to exists, but do we want to spend a million years or even 500 years trapped in a meat suit. Most of the elite characters in the film seemed a bit bored after a 80 -100 year life span , having a sort of been there, done that attitude towards life , needing more and more excitement to fulfill their needs. If you can live forever or even hundred’s of years , I don’t think we would appreciate life so much , we would not put much importance on it , as shown in the film , people dying in the streets ,while onlookers just walk by like nothing happened. The other aspect of the film was who created this paradigm, and who gave them the right to control the “currency” who made them god, immortals. Again we have art imitating life, as protesters around the world , the 99%’s rally against the 1%’s. In the end of the film a building is shown where “Time” is essentially created , it looks like a Federal Reserve Bank building on steroids , the thing is monolithic, massive , made for giants , which hints at another aspect of reality here on earth.